VitrA Delphi Shower BathFrom £325.00 inc.VATRRP: £500.00 (Save 35%)P shaped shower bath, reinforced acrylic 1700 x 750mm. Optional glass screen & matching acrylic surround panel. VitrA Neon Shower BathFrom £325.00 inc.VATRRP: £500.00 (Save 35%)Rectangular shower bath, reinforced acrylic, with glass screen option. 1700 x 750mm modern shape. 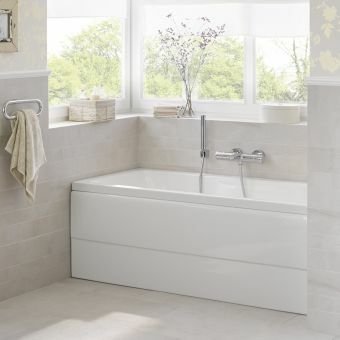 VitrA Optima Double Ended BathFrom £238.55 inc.VATRRP: £367.00 (Save 35%)Sturdy 1700 x 750mm double ended acrylic bath, with optional bath panels. Superb value for money! VitrA Optima Shower BathFrom £269.75 inc.VATRRP: £415.00 (Save 35%)Superb value for money on this 1700mm P shaped shower bath, with optional glass shower screen. 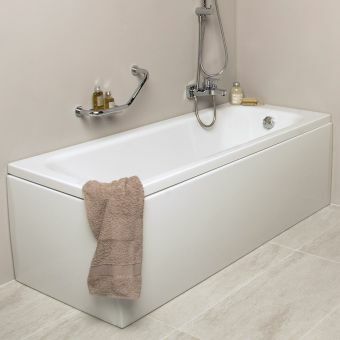 VitrA Shift Pure BathFrom £438.40 inc.VATRRP: £1309.99 (Save 67%)Large luxury bathtub with super strong reinforcement, 1800 x 800mm or a super sized 2000 x 900mm version. 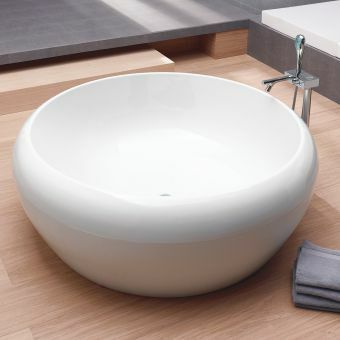 VitrA Istanbul Oval Bath£2945.59 inc.VATRRP: £3682.00 (Save 20%)Deluxe, made to order 1900mm oval freestanding bath by leading designer: Ross Lovegrove for VitrA. 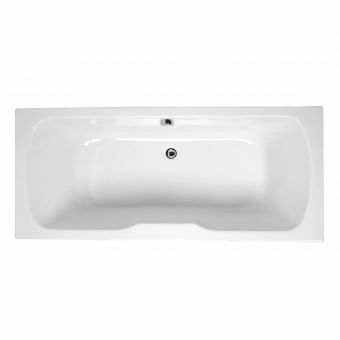 VitrA Balance Eco BathFrom £211.90 inc.VATRRP: £326.00 (Save 35%)1500, 1600 and 1700mm long options, all 700mm wide. Optional grips & matching side panels. 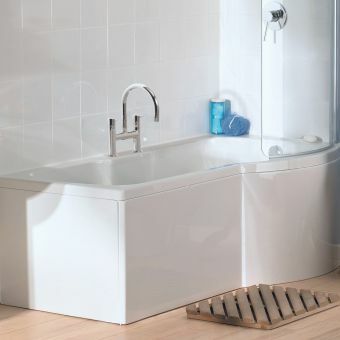 VitrA Neon Space Saver BathFrom £352.96 inc.VATRRP: £543.00 (Save 35%)1700mm bath, space-saving design for small bathrooms, with a narrower foot end of 500mm wide. 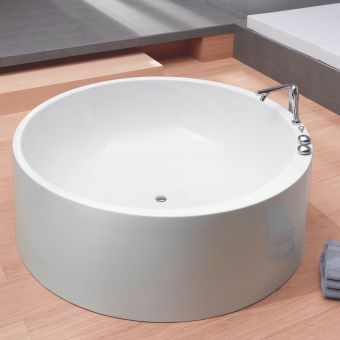 Bathtubs by VitrA bathrooms come in a wide choice of styles and price brackets, from the everyday essential bathtub, to special made to order designer centrepieces, such as the stunning avant-garde VitrA Istanbul Bath. The image above illustrates a range of everyday VitrA bathtub designs for use in a wide range of modern bathrooms. Practically every British home has a bath tub, due to the way our properties were built and the history of the British bathroom, bathing was the primary washing facility rather than showering. 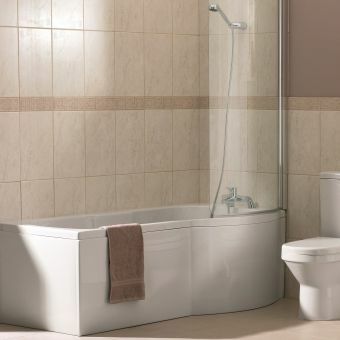 Most households have developed to adapt their bath space into a bath shower area, with a dual purpose bath that you can also shower in, giving you the best of both worlds. 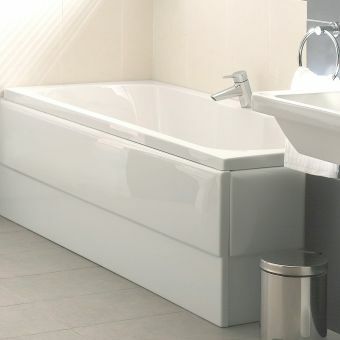 VitrA offer a number of solutions, from simply adapting one of their single ended baths with the addition of a glass bath shower screen, for example, the popular VitrA Neon; or by purchasing one of their specialist P shapes like the Optima Bath, or rectangular shower baths such as the Neon shower bath. 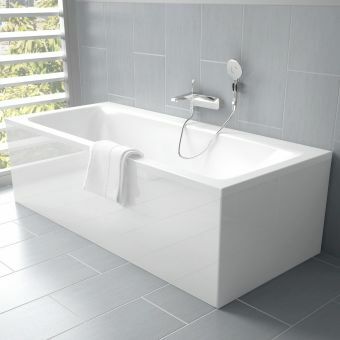 VitrA bathtubs are very simple to install, all of the standard VitrA baths come with a set of adjustable legs. These are designed to be adjusted in height for slightly untrue floors or trickier installations for example floor joists and other unforeseen issues getting in the way under your bath such as pipework, your plumber can simply adjust the leg set to achieve a true level fit. 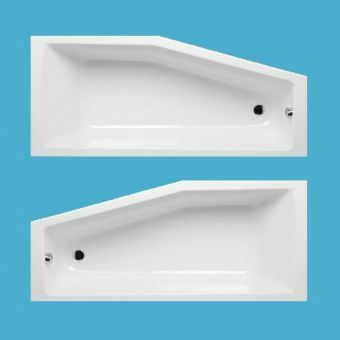 The video above demonstrates the ease of installation of standard VitrA bathtubs and how to baton your bath securely to the wall. VitrA have 3 tiers of collections, with design groups in these. 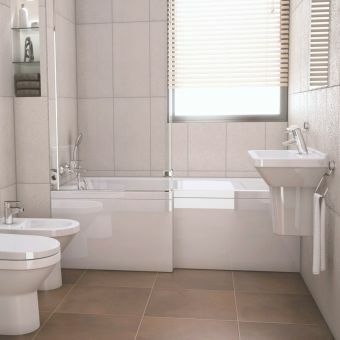 The first tier is the VitrA bathroom collection, this is a large group of product design lines most of which come in at very attractive and accessible price points. 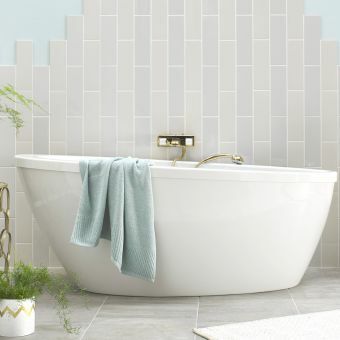 There is something for every bathroom in the aptly named bathroom collection. Baths in the VitrA bathroom collection include practical well-designed models that would suit most bathroom renovations and last for years to come, including the popular: VitrA Neon Bath and for those looking for an economical water saving option the clever and green thinking: VitrA Balance Bath. 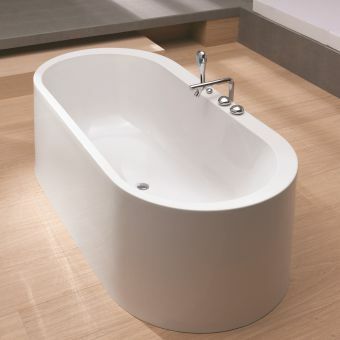 Featured in the image above is the superb VitrA Neon bath, made from reinforced acrylic and in a large range of 5 different sizes to suit any bathroom design, this is one of the most popular VitrA Bathtubs. VitrA also produce a fantastic collection of designer baths, from spa inspired massage baths to the unique and individual design experiences such as Istanbul baths for VitrA by the renowned designer Ross Lovegrove. 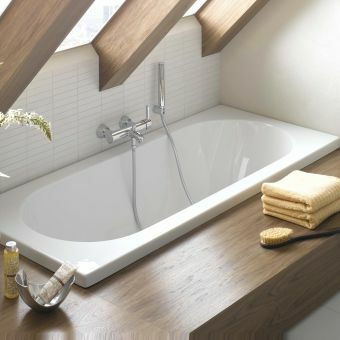 The Shift Pure bath by VitrA features a unique roll out wooden roll that covers the top of the bath, this transforms it into a massage table, bringing a spa element into your home bathroom. 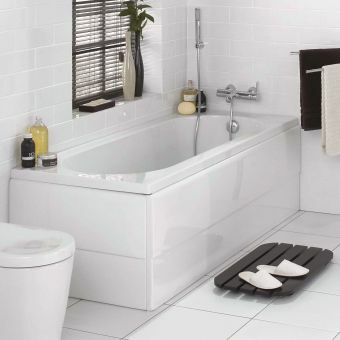 This allows every home to have a massage table, and thanks to the extra reinforced and tough build of the Shift Pure bath you can rest and relax knowing that your weight is fully supported, being that the bath was specifically designed to work in this way. This is a really unique and clever twist on the modern bath, with spa treatments and wellness being increasingly sought after in modern bathroom renovations this bath is a must for creating a home spa and even commercial spa premises looking to save space. 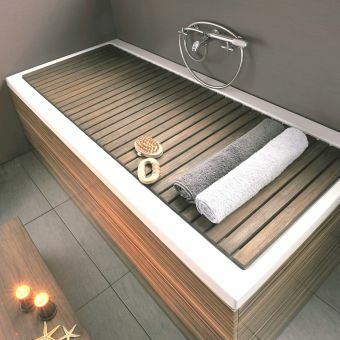 The image above features the home spa adaptable Shift Pure bath with wooden roll out shelf, this is super strong and reinforced being designed specifically to convert into a massage table it allows for a great dual use of space and brings spa treatments and relaxation into your bathroom at home. VitrA have a lovely collection of unique and design led freestanding baths, these would form the most amazing centre piece in a master bathroom and create a deluxe bathing experience, perfect for your new luxury bathroom renovation. Most of the VitrA deluxe baths are made to order, but something as good as the VitrA Istanbul Oval Bath is more than worth waiting for. Our team can check the exact lead times and guide you on delivery timescales, simply contact us for more information. 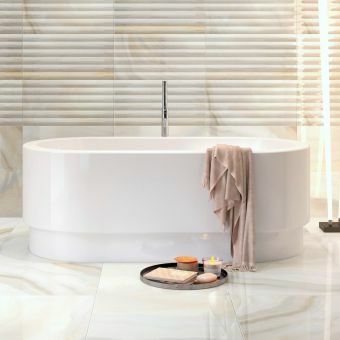 VitrA designer baths have been developed in collaboration with some of the worlds leading designers such as celebrated London based Ross Lovegrove, and prolific German Industrial Designers NOA. 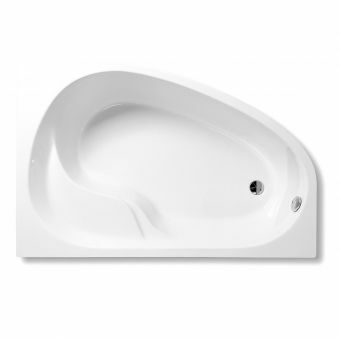 Create a tranquil bathing haven with a stunning bath such as the VitrA Silence bath which has a back-support sloping side and a lovely oval egg like shape, creating a bathing area for true relaxation and luxurious comfort! The stunning looks of the VitrA Designer baths will create unique and vibrant bathroom interiors you will love to inhabit and enjoy to use every day.